A Las Vegas family is living in fear after two men broke in while their teenage daughter hid in a bedroom closet. 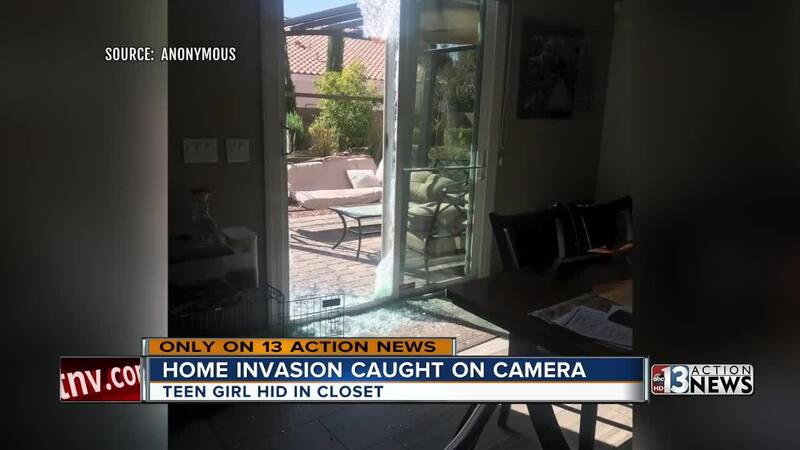 17-year-old Maxeen is still shook up after what happened inside her home near Cactus Avenue and Interstate 15 on Saturday. Maxeen says she was home alone Saturday when someone started ringing the doorbell repeatedly around 2:30 in the afternoon. Maxeen’s mom is thankful her daughter is okay, but says this frightening ordeal has hit the entire family. The family says the burglars actually left their getaway ride outside the home when they left. They took a picture of it and hope that vehicle will lead police to the two. If you have any information, the family is asking for you to call police.